Two weeks ago, in preparation to our upcoming visit to London, we enjoyed a wonderful performance of the Disney classic Beauty and the Beast. 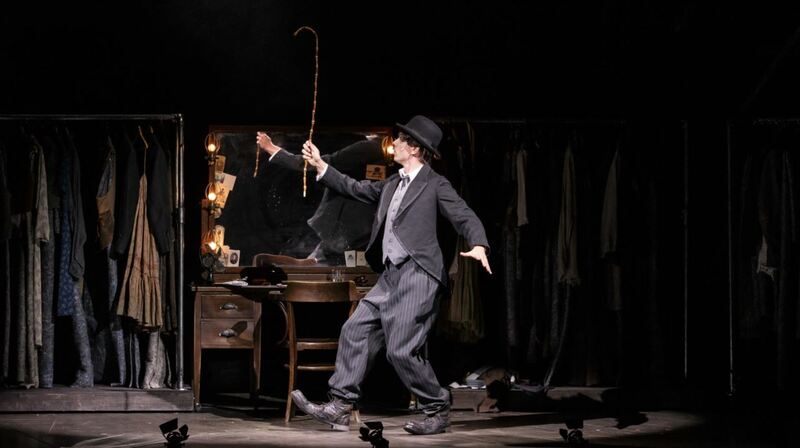 Since you can never be too well prepared for a trip, we decided to check out the new version of Chaplin, the musical, dedicated to the life and work of one of the greatest artists of the 20th century. While we kind of knew what to expect from Beauty and the Beast, don’t tell me you haven’t seen the Disney classic, Chaplin, the musical was a real mistery. 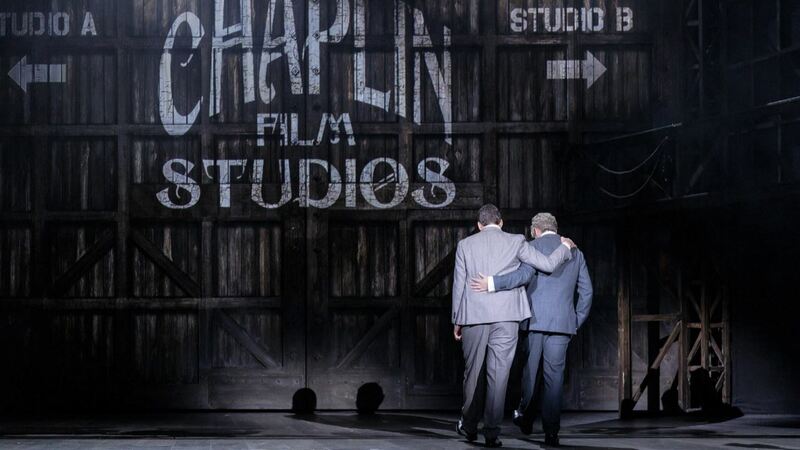 Totally different and in the more intimate setting of a regular theatre, Chaplin, the musical takes spectators on a magical journey through the life of one of the biggest and most inspiring actors and filmmakers from the 20th century. 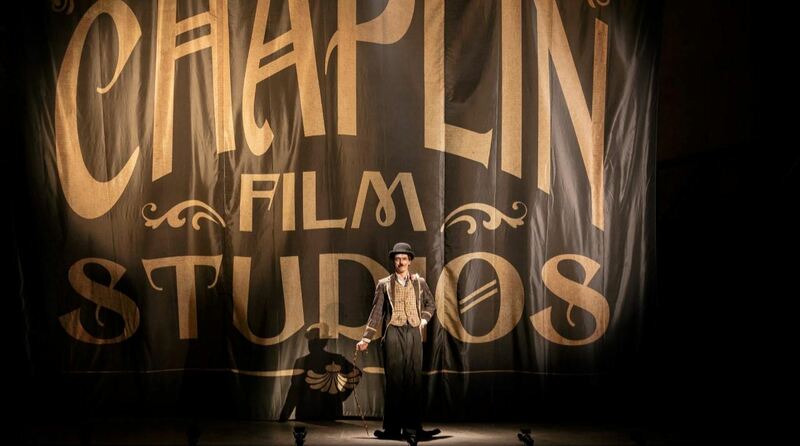 It all starts in an old movie studio where Chaplin is reflecting on his life and work. Charles Spencer Chaplin was a young boy at the end of the 19th century. Growing up in London without a father, his childhood was marked by poverty, hardship and time spent in workhouses. 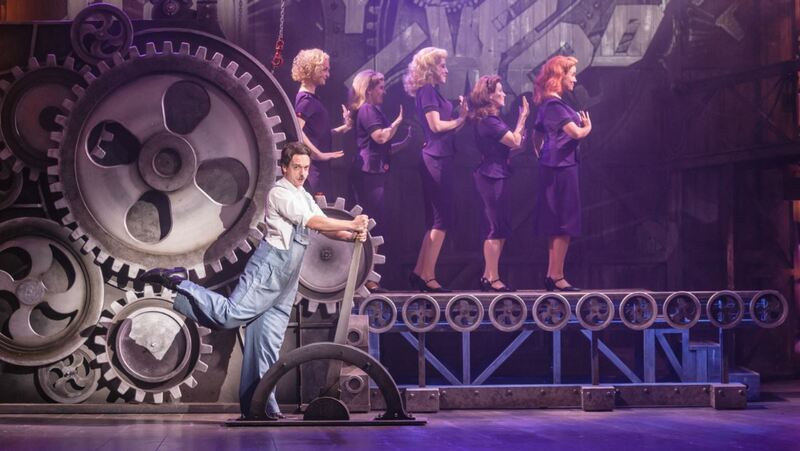 As his mother was committed to a mental hospital, Charlie started performing at an early age. In his early 20’s Charlie took to the States where he developed his famous “the Tramp” persona. Soon after, as he became more popular, he gained total control over his work and built his own studios and co-founded the distribution company United Artists. 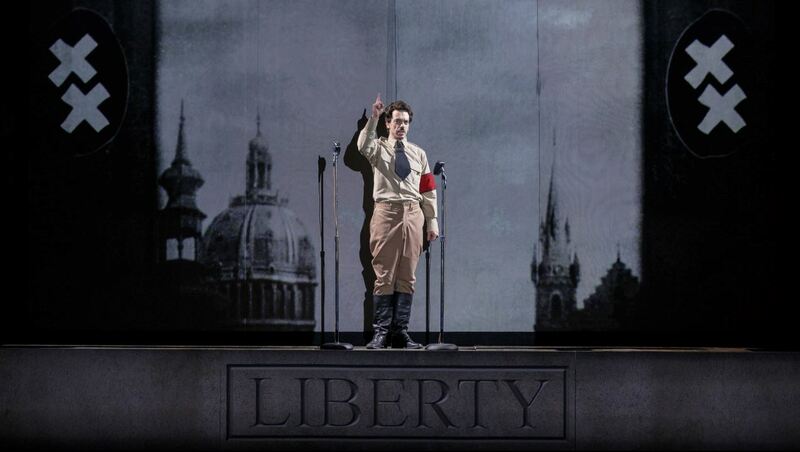 In the 1940’s Chaplin became increasingly controversial and political. Disturbed by the growing nationalism and rise of Adolf Hitler, he made “The Great Dictator” in which he satirised Hitler and attacked fascism. His personal life was marked by a series of trials which affected his public image. The FBI used his falling popularity to accuse him of communist sympathies and Chaplin was forced to leave the United States. Finally in 1972, 20 years after he left the US, Chaplin received an Honorary Academy Award for his role in making motion pictures the art form ot the 20th century. Just like everybody else we had seen some of Chaplin’s most famous movies, Modern Times and The Great Dictator, and know his “Tramp” character. We did however, know very little about the man behind the artistical genie. 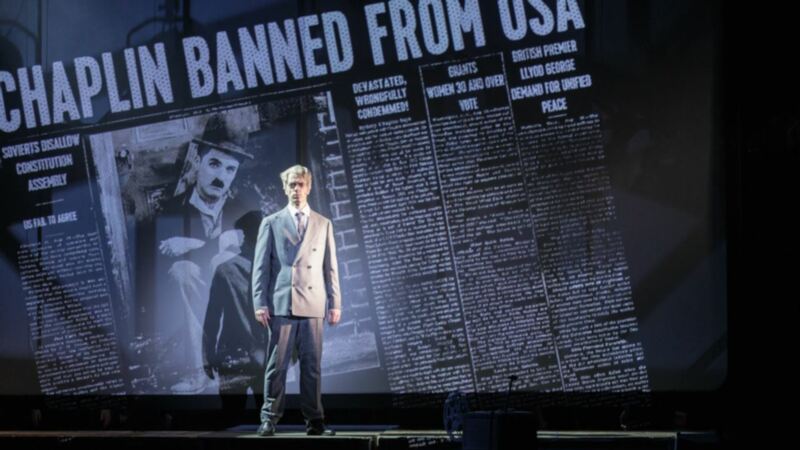 This revamped version of the original musical offers a brand new and colourful insight in the life of Chaplin, his rise to fame and his downfall, and the movie industry in the early 20th century. 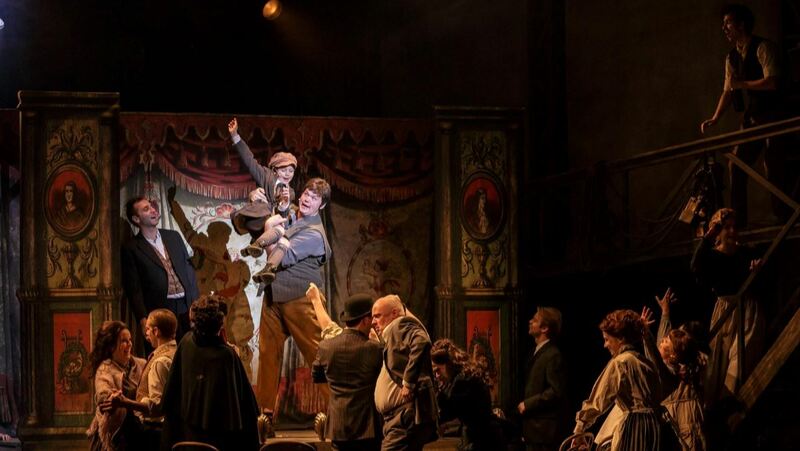 Chaplin, the musical is a fast paced performance combining a great story, a wonderful cast and catchy music, making it one of the best musicals we’ve seen in recent times.